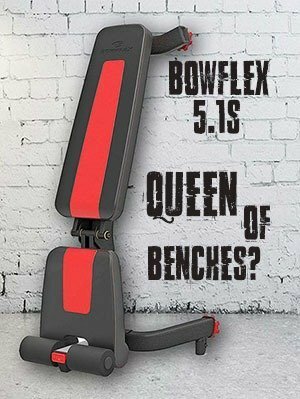 More and more fitness equipment manufacturers are trying to climb the never-ending market ladder. With so many new brands out there, the market has grown over the last few years exponentially. Among all this new equipment, I’m sure that some of you have spotted several new foldable weight benches as well. 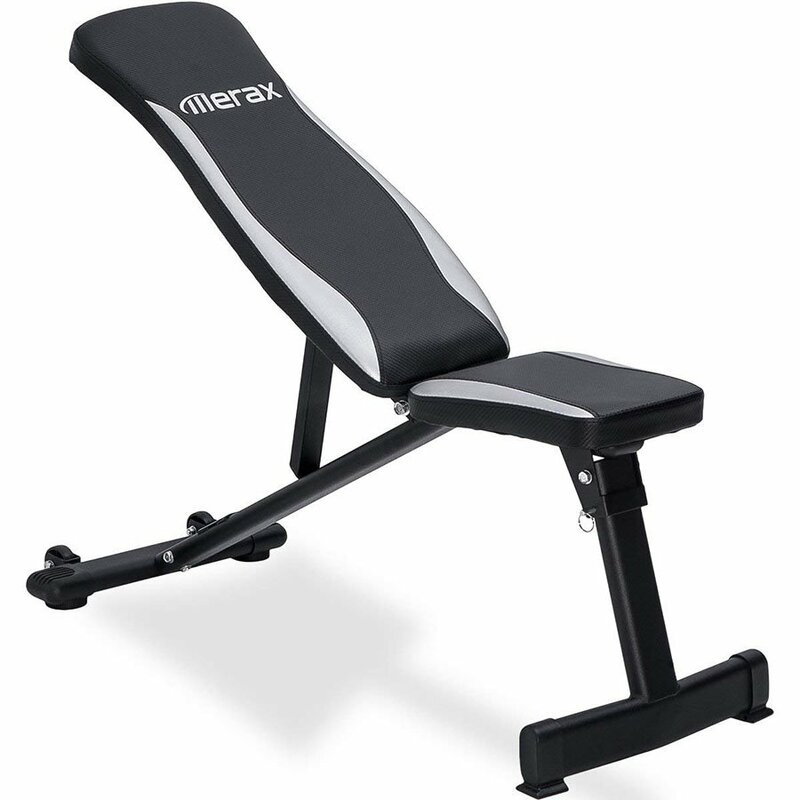 Today, I’ll be reviewing one of them, the Merax Classic Foldable Utility Weight Bench. “I can’t workout on his bench man, it’s way too thin for me”. I guess at least a few of us heard similar version of this sentence sometimes in our lives. Personally, I have experienced this in one of the local gyms. One might argue that what can go wrong with a foldable utility bench, it’s just a bench, right? Well, let me tell you that a lot can go wrong. This will not be a long review, but you can be rest assured that I’ll cover every area you can think of. The construction of this bench is made of heavy-duty powder coated steel, which from the first view seemed welded quite good (fingers crossed). The bench supports up to 500 lbs (226 kg) which is more than all of us need. 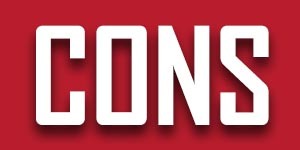 Product dimensions are 41″x 16.5″ x 17″~43″ (L x W x H). The bench came in one well packed box and the entire weight was 24.8 pounds (11.25 kg). Not much else to add. The assembly was very easy. The instructions were very clear and it took me about 20 minutes to put everything together. It basically came in one piece (kudos to Merax for their manuals). My Experience – 155 lbs Incoming! First of all, I was surprised how easily I could move the bench to my power rack, it’s really lightweight. The construction, as advertised, has proven sturdy, although it would be really weird if it was rocking under my weight of 155 lbs (lol, right?). The back-pad is wide enough even for bulkier people, which is definitely a plus. It is also quite comfy. When I tried one of the inclined positions, I noticed that you can inadvertently “lock” the hatch between positions – be careful here, make sure it was locked in the desired spot before releasing your full weight on it. Also, please note that this bench does not have a declined positioning option, so don’t try to bend the pad to the opposite side. While you can decline the entire 180° bench, you will probably slide right off, as it does not have any default support for feet. 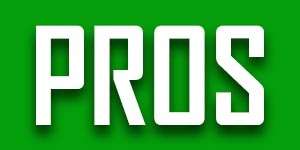 With that being said, let’s dive to pros and cons. 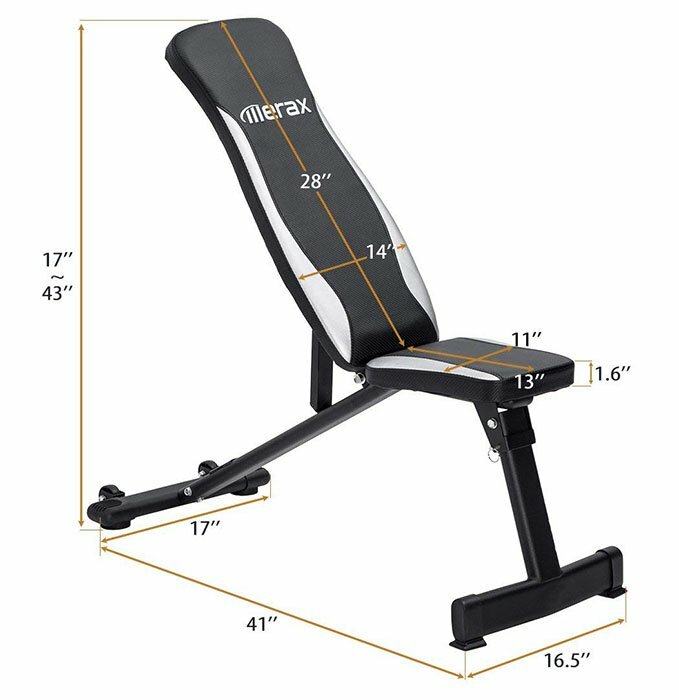 Is Merax Classic Foldable Utility Weight Bench worth the money? In my option, it definitely is. The pros clearly outweigh the cons and with the nice support of 500 lbs, wide back-pad and sturdy construction, this is the bench to get.